With T-shirts, mugs and murals bearing his face, Russian President Vladimir Putin is set to receive a rock star welcome on Thursday (17 January) when he lands in Serbia, Moscow’s key ally on the edge of Europe. Putin will be met with a welcome parade that weaves through the capital Belgrade and culminates at the massive Saint Sava church, one of Orthodox Christianity’s largest houses of worship. Although Serbia aspires to join the European Union, it has kept up close ties with Russia, a historical “Orthodox big brother” whose people also share Slavic origins. But it “is more an emotional than a rational relationship”, explained Serbian economic analyst Biljana Stepanović in Belgrade. According to a 2017 Serbian government survey, a quarter of the population believe that Russia is their country’s top donor, while the same percentage says it is the EU. In reality, 75% of donations come from the EU or its member states, while Russia doesn’t even make the top nine. The West also outpaces Russia in terms of direct investment and trade. However, the affection for Moscow is fanned by its unyielding support on the emotive issue of Kosovo, a former Serbian province that broke away in a 1998-99 guerilla war. 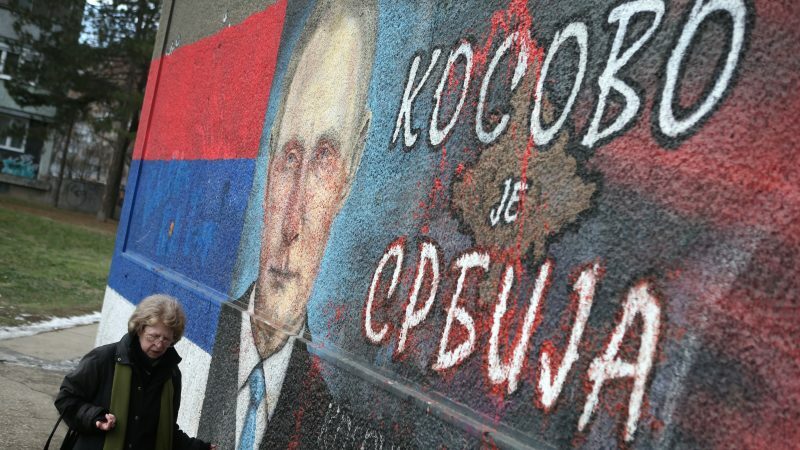 Serbia has never accepted the split and Russia similarly rejects it, wielding its veto power at the United Nations to thwart Kosovo’s dreams of joining. In return, Belgrade refuses to join the international trade sanctions imposed on Russia over its 2014 annexation of Crimea. The phrase “Kosovo is Serbia, Crimea is Russia” can sometimes be spotted on Serbian streets. Aware of his people’s affection for Russia, Serbian President Aleksandar Vučić has often talked up his relationship with Putin. Brilliant Dušan Petričić cartoon making the rounds on Serbian social media, on the eve of Putin's visit to Belgrade. Perfectly captures Vucic's opportunistic fence sitting & absurdity of claims re: "long history" of RUS-SRB ties. On Monday, he described the details of a recent Moscow visit in an interview with the pro-government Pink TV. 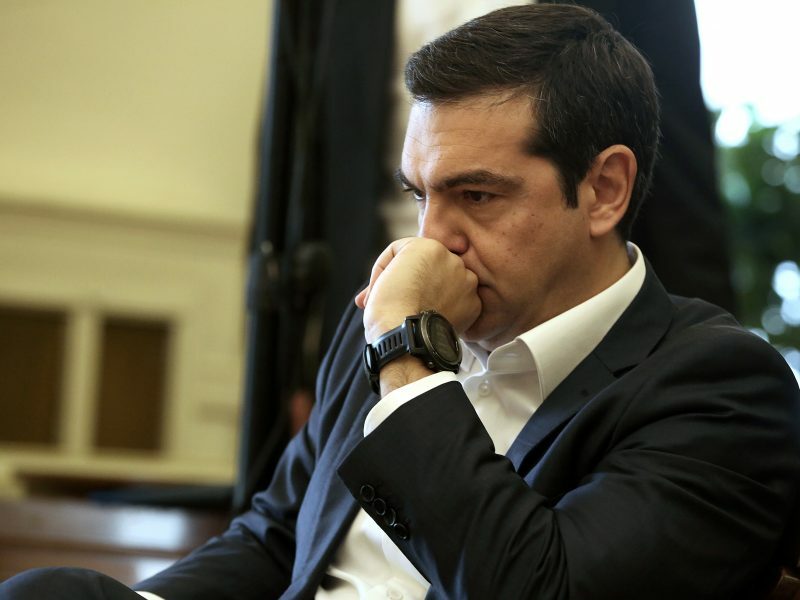 “When I went to his house to offer him a (religious) icon, he received me at 10:45 pm, we were alone and he was playing the piano,” said Vučić, who critics accuse of being increasingly authoritarian. But the fanfare does not mask Russia’s recent setbacks in the Balkans, where the West is muscling in. Moscow was unable to prevent Montenegro from joining NATO in 2017, a goal which Macedonia is also on the cusp of achieving. If Macedonia succeeds, all countries bordering Serbia — which does not aspire to join — will be in the NATO sphere, with the exception of Bosnia due to the veto of its Serb population. Putin will also meet Bosnian Serb leader Milorad Dodik. Maxim Samorukov, an analyst on Russia at the Carnegie Endowment for International Peace, said Putin is visiting Serbia mainly to seek “political prestige” and show that there is a “Russian influence in all parts of the world”. “The Balkans as such are of little importance” and do not represent “a priority of Russian foreign policy”, he added. Moscow does, however, have some stake in the region. According to analyst Stepanović, Russia “has not yet used up” this leverage, “but the potential for influence is there” because Serbia cannot “afford an interruption in deliveries”. In his interview with Pink TV, Vučić said he would be open to buying “cheap gas from elsewhere”. “But I haven’t seen it yet,” he added. Serbia banks on an extension of the planned Turkish Stream pipeline from Turkey via Bulgaria. Turkish Stream will carry Russian gas to the European territory of Turkey via the Black Sea. Putin has said that he needs EU guarantees that no obstacles would be raised for such a project, as it was the case for the defunct South Stream.